In 1893, an addition was built on to the old magazine keeper's house. The structure was designated as the residence of the inspector of ordnance. The two­story addition consisted of a library on the first floor and a "chamber" on the second. A covered porch was also added to the front of the building. 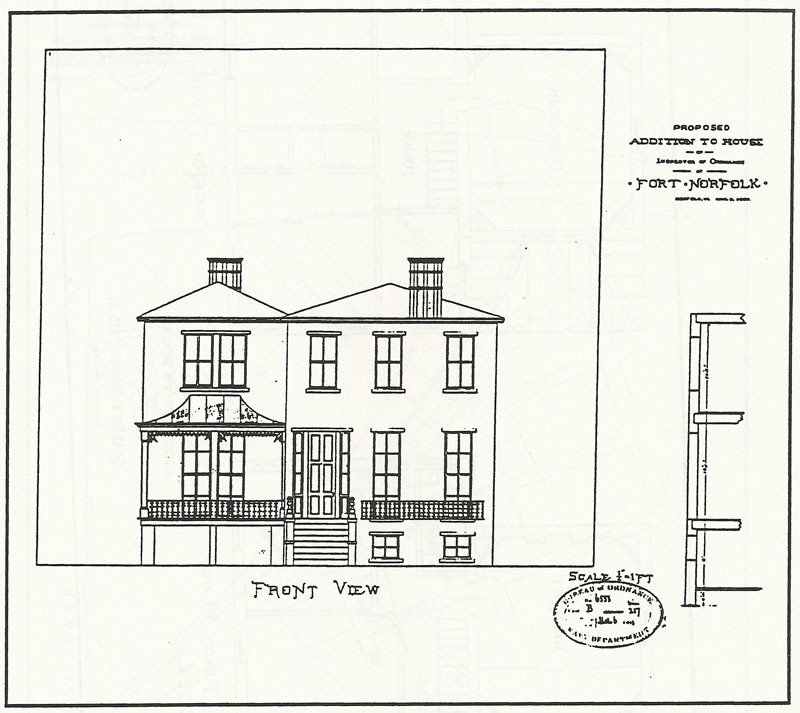 Drawings were made of the proposed addition that show the structure in both plan and profile (See above and below). The house was demolished in 1942 to make way for an office building for the U.S. Army Corps of Engineers (Bureau of Ordnance 1893). 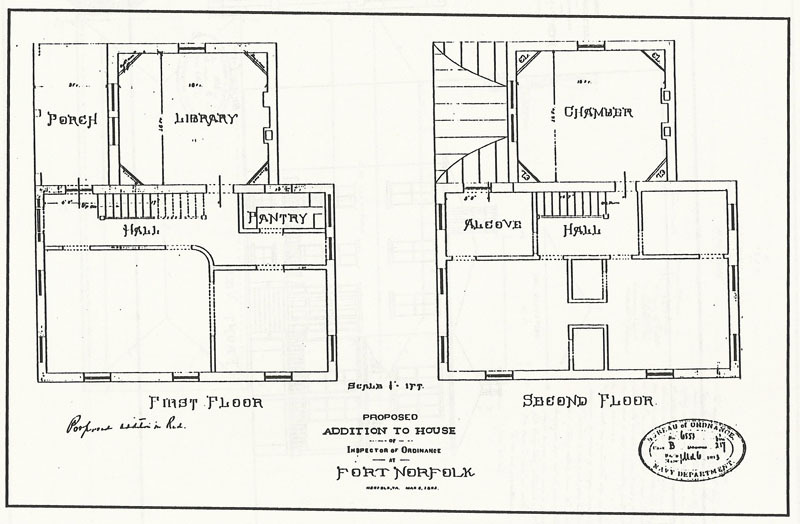 By 1898, the growing city almost completely surrounded the Fort Norfolk property. A chancery suit had resulted in the division of land to the north and west of the fort, opening more land to development. W. T. Brooke, a civil engineer, produced a plat of the land division that made its way into the records of the Bureau of Yards and Docks. 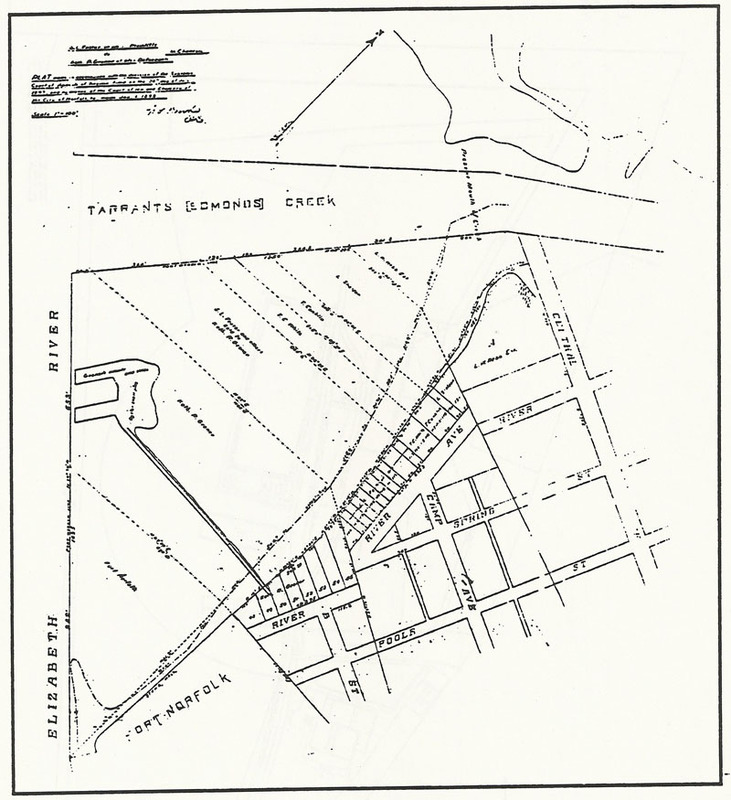 The plat does not show any buildings within the fort, but it does illustrate the amount of development in the area immediately surrounding it (Bureau of Yards and Docks 1898) (see below).